SMART is making news at BETT 2013, don't miss out! SMART is making news at BETT 2013, don’t miss out! SMART is making news at BETT 2013! First public showings at BETT: including the world’s first fully integrated touch-enabled interactive projector. Join us for a breakfast press conference on Thursday, January 31 in the SMART Meeting Room. 9:00 a.m. light breakfast available in SMART Room. 9:30 a.m. to 10:00 a.m. (press conference). 10:00 a.m. to 10:20 am (Be a Student for 20 min). Media will be given early access to Excel London in order to participate in this press conference but you must confirm your attendance in order to proceed through security. Please confirm by emailing: pr@smarttech.com. President CEO Neil Gaydon on the vision for SMART in Education. Product Marketing Manager, Neil Currie, on how SMART is Enabling Transformational Learning. Teacher, Ian Fogarty, demonstrates the SMART Collaborative Classroom. 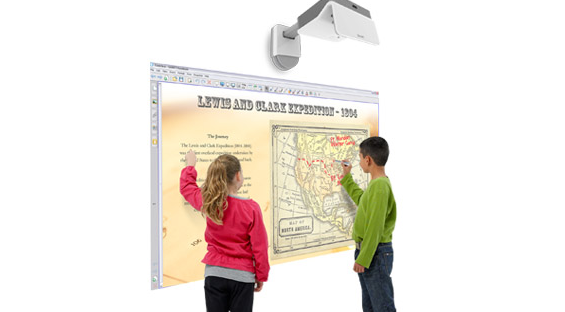 The SMART Lightraise 60wi interactive projector – another world’s first for SMART. The new SMART Notebook App for iPad. The new SMART Board interactive flat panel for education. And several other new and upgraded SMART products. Don’t miss out! Register today at pr@smarttech.com.